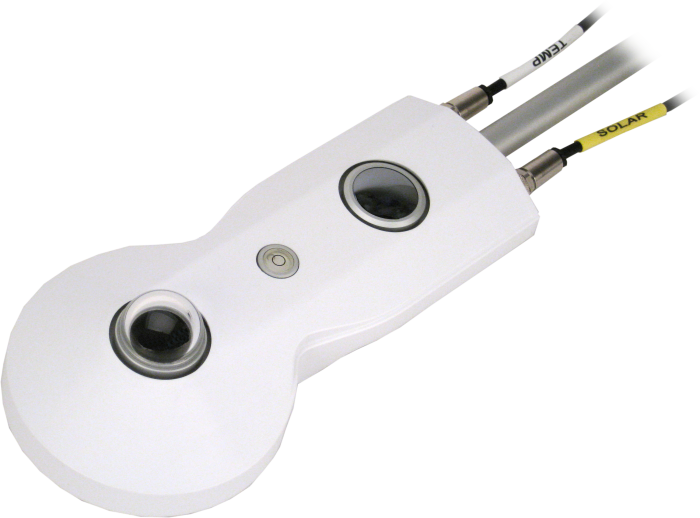 The CNR4, manufactured by Kipp & Zonen, is a research-grade net radiometer that measures the energy balance between incoming and outgoing radiation. Our dataloggers measure the CNR4's output. This net radiometer offers a professional solution for scientific-grade energy balance studies. Using a CNR4, how should albedo data be handled at night when the reflected short-wave radiation is zero and the calculation ends up dividing by zero?